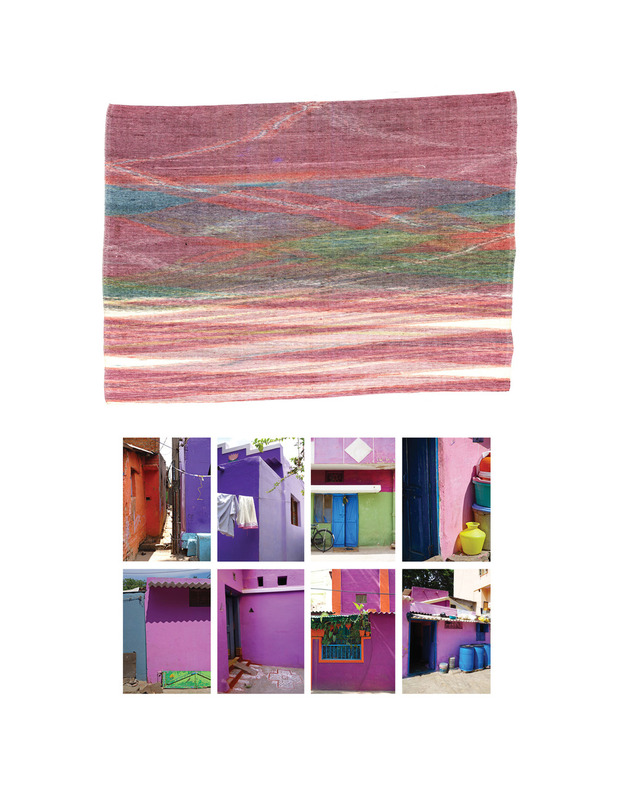 Reweave is a project that explores India's rich history of resist dyed fabrics. Ikat weaving involves resist dying yarn prior to weaving. When hand woven, this produces intricate fabrics with multi-layered abstracted patterns. Due to the time consuming nature of the craft, however, its modern evolution has seen digital reproduction as a means to preserve ikat’s aesthetics, and the role of the craftsmen has diminished. Through collaborating with craftsmen and introducing digital techniques into the process the project creates new and unexpected textile patterns. While the traditional geometric patterns are beautiful in their own right, Reweave takes the notion of pattern abstraction to the extreme, using digital printers to print photographs on to yarn as a means of dying the thread. The photos are then unravelled and hand-woven, creating new abstracted textiles. This technique introduces a new way for us to perceive images and colour by using digital methods capture exact visuals and then using a very handcrafted method to pixelate them. I chose photographs of urban Indian landscapes as my source material as I saw a unique chance to celebrate the unbridled appearance of colour in India through richly abstracted colour studies. The idea of India as colourful is a case of truth exceeding cliché, but people generally don’t realize the extent of it. Freed from the straitjacket of figurative representation, the colours, when abstracted through the weaving process, are allowed to take on a life if their own, merging in the textiles to form new colour landscapes. smaller silk samples woven from compiled colour studies (click to expand).